Two former BlueClaws were sent to the Marlins as part of the trade that brought JT Realmuto to Philadelphia. 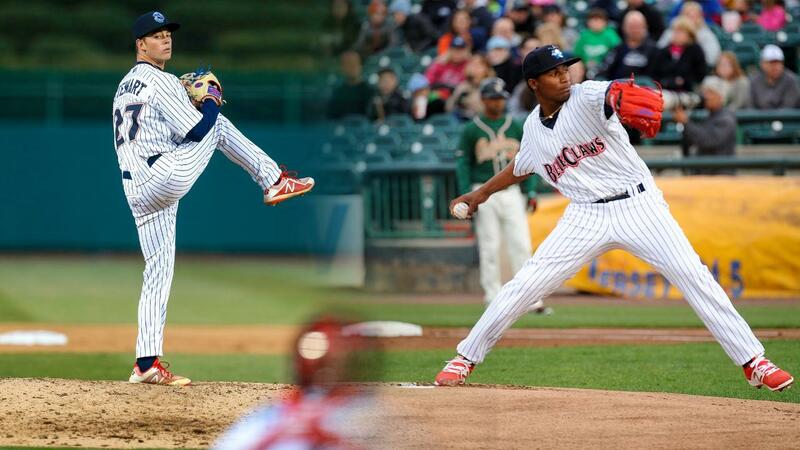 LAKEWOOD, NJ - Former BlueClaws pitchers Sixto Sanchez and Will Stewart were traded by the Phillies on Thursday to the Marlins along with catcher Jorge Alfaro as the Phillies acquired catcher JT Realmuto. Sanchez, ranked as the organization's top prospect, made 13 starts with the BlueClaws in 2017. He went 5-3, with a 2.41 ERA with Lakewood before finishing that season with Hi-A Clearwater. Stewart spent all of 2018 with the BlueClaws, going 8-1 with a 2.06 ERA. He also was selected to start the 2018 South Atlantic League All-Star Game in Greensboro. Stewart threw a complete game shutout with 10 strikeouts in a May 30th win over Greensboro, becoming just the fourth BlueClaw since 2011 to throw nine innings in a game. The BlueClaws wish both alums luck with the Marlins!